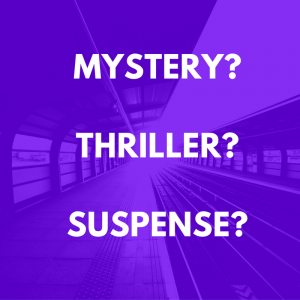 Have you been in the mood for a good thriller? Read It Forward editors Abbe and Emma give their Six Picks recommendations. If you like these books, you might want to try their playlist for more titles. Looking for more recommendations? Try The Poisoned Pen bookstore. Have you ever used a novel as research for a writing project? This week we have Duet in Beirut: A Thriller by Mishka Ben-David and translated by Evan Fallenberg. It is so informative that at times it reads like nonfiction. In Duet in Beirut a Mossad commander, Gadi, is trying to prevent an ex-operative named Ronen from carrying out a rogue mission. In a catch-22 situation worthy of Camus, Ronen had been disgraced because he had been assigned to assassinate a member of Hezbollah in Lebanon and failed. Now Gadi must prevent him from killing the same target. Author Mishka Ben-David served in the Mossad (Israel’s intelligence agency) for 12 years, so you know the details of the story are authentic. Not only does he give the reader insight into the politics within the Mossad organization, but he also reveals what it is like to be a Mossad operative. For example, his main character Gadi is nervous when he approaches the border and he takes off his tie when he observes other airplane passengers are not wearing them so he can blend in. Doesn’t that eloquently capture the uncertainty of being an operative? 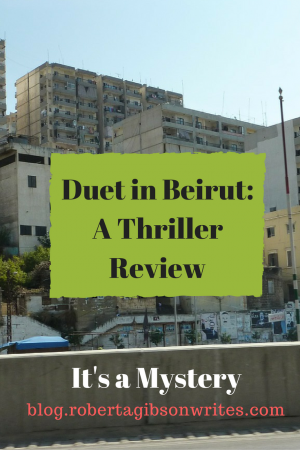 Duet in Beirut is an enlightening look at a complex situation. If you are looking for pure entertainment, this book might not be for you. If you are looking for something instructive about the Middle East, however, and how the Mossad works, you may want to give it a try.